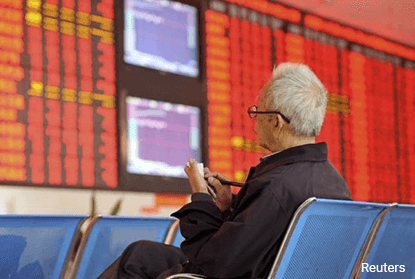 BENGALURU (March 13): Most Southeast Asian stock markets closed higher on Monday, with the Philippines clocking its biggest single-day percentage gain in nearly a month, as bargain hunters stepped in following Friday's last-minute selloff. Philippine shares closed 1.2% higher, helped by gains in industrials with conglomerate SM Investments Corp single-handedly pushing up the index. SM Investments shares ended up 7.8%, after shedding 9.2% on Friday. Shares of real estate companies also rose, with Ayala Land rising 2% to its highest close since Feb 23. "There was a big last-minute selloff in SM Investments on Friday," said Mikey Macanaig, an analyst with Sunsecurities Inc.
Other Southeast Asian markets saw muted trading with investors staying wary, after Friday's strong U.S. jobs data sealed the chance of a rate hike by the Federal Reserve on Wednesday. Fed Chair Janet Yellen signalled last week that the U.S. central bank would likely raise rates at its March 14-15 policy meeting. "Markets are getting ready for the rate hike which is going to be announced this week... Jobs data from the U.S. market last week was better than expected. So, the rate hike seems all the more imminent now," added Macanaig. MSCI's broadest index of Asia-Pacific shares outside Japan was up 0.84% at 0812 GMT. Singapore shares closed at their highest since August 2015, helped by gains in financial and telecom stocks. Oversea-Chinese Banking closed at its highest since Feb 23, while Singapore Telecommunications closed at a two-week high. Indonesia closed at its highest in a week, while the index of the 45 most liquid stocks remained largely unchanged. Thailand fell for the third straight session, closing at its lowest in two-and-a-half months. Financials and real estate stocks were the worst performers, with hire purchase financier Group Lease falling 29.9% to close at its lowest since December 2015. Vietnam shares closed lower, with consumer staples being the main drag. The country's coffee export volume this year is expected to fall 20% to 30% from a year earlier, due to drought and reduced inventory, an industry official said on Sunday.